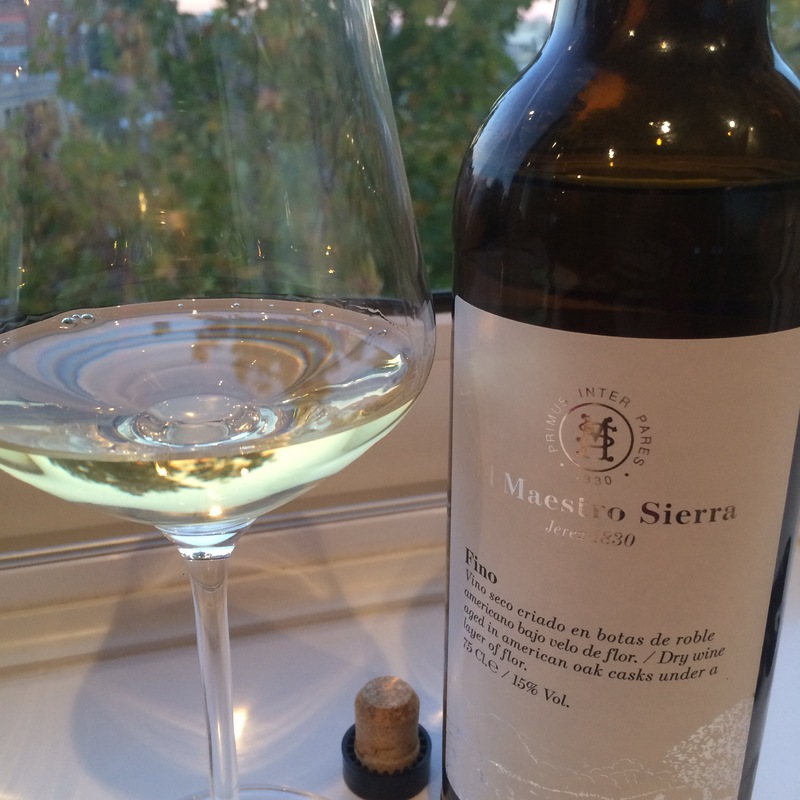 A light, elegant fino from Maestro Sierra for a bright, sunny end of November Sunday in Madrid. To start with the bottle is elegant and has this new-traditional shtick. It is light in colour – an extremely clear, pale straw colour, and has a nice delicate nose of haybales, almonds, baked bread or even fried breadcrumbs. It is also yeasty in the mouth – not too saline but punchy in flavour and greasy in texture, with almonds and sweet herbs. Not overlong by sherry standards but dry, fresh and tasty. Really nice all around – this is why they call these “fine” wines.